If you are thinking of buying a smartphone this month and spending Php15,000 or more, we recommend you wait a few more week. A new Apple iPhone will be announced on October 4 (US Time) and a week later the new Google Nexus Phone with Android 4.0 (Ice Cream Sandwich) will also be announced. At the end of the month, you will be seeing Nokia's Windows Phone 7 line-up. The newer BlackBerry O.S. phones are landing in the Philippine market as we write this. All-in-all, we do expect some downward price adjustment on the premium and mid-level products this month. On the other hand, if you are looking for a entry level smartphone at below Php15,000, there probably has never been a better time than now. 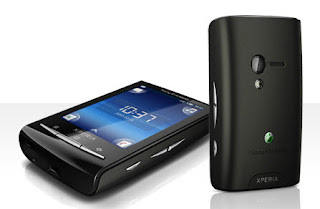 Our choice - Sony Ericsson Xperia Mini. Sony Ericsson gives us a new Xperia Mini. With a 1GHz Scorpion processor, Adreno 205 graphics and 512MB of RAM it has a much power as 2010 Android flagship phones. This means you get a fast phone with full Adobe Flash support and which can shoot and play 720p video. The phone packs a 5MP autofocus camera with a LED flash. This gives the Xperia Arc enough punch to match phones like the LG Optimus Black or HTC Desire S.
But being an entry level phone with a suggested retail price of Php10,500, cuts have to be made somewhere. The Xperia Mini has 320MB of internal memory which is expandable via MicroSD card, which is double the amount you usually find on entry level Androids, but only a fraction of what you find in higher end Androids. The screen is a 3-inch 320 x 480 screen. While the screen resolution is sufficient to give the user a good Android experience, the screen size is a bit small. There is also the new Xperia Mini Pro, which has the same specifications as as the Xperia Mini with a physical QWERTY keyboard and more internal storage (400MB). If you find typing on the small 3-inch screen's virtual keyboard difficult, this one might be the better solution. 1. Smart Communications Netphone - Best screen on at 10K. Probably the most important thing is a touchscreen phone is the screen. Smart Communications Netphone 701 is the best choice at this class with a 3.5-inch screen with a 480 x 800 resolution. It other specifications are just adequate for the Php9,900 asking price. The Nokia 500 phone well equipped for its Php9,000 with a a 3.2-inch nHD (360 x 640) capacitative display and 2GB or internal storage. Nokia has already committed to move the Windows Phone 7 platform and Symbian devices will be phased out over the next two years. This means you can expect third party app support to diminish over time. 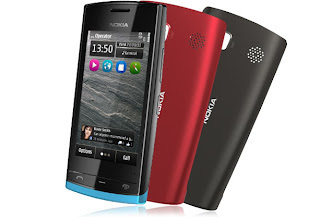 If you are an Android, Bada, BlackBerry, iOS or Windows phone user, it is hard to recommend this phone or any other Symbian Nokia phone for the matter. No point moving to a ecosystem which is about to be phased out soon. On the other hand, if you are a long time Nokia user, and rely on Nokia apps and services, this phone is priced low enough so as not to make you regret not investing in a different ecosystem earlier. It would be the perfect phone for one last dance with Symbian. 3. LG Optimus One - The old warrior is still a good choice. Nearly a year after its release the Android powered 3.2-inch LG Optimus One P500 is still a good choice, now priced at Php7,990. It's specifications are similar to the Smart Netphone but with a smaller, lower resolution, 3.2-inch 320 x 480 screen. 2K less for the smaller lower resolution screen. 4. 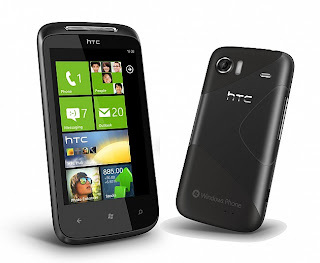 HTC 7 Mozart - A Windows Phone 7 device at below 15k. CMK Cellphones is offering the HTC Mozart 7 at Php14,750 with a one year warranty from HTC. This is a really good price for a phone 1GHz processor, a 480 x 800 screen and 8GB of internal storage. If you have been curious about Windows Phone 7, this is probably a good time to grab one. The HTC Mozart 7 will be getting an update to Windows Phone 7.5 "Mango". 5. BlackBerry Curve 3G 9300 - BlackBerry Service. If you need a low cost phone to utilize BlackBerry services, you do have the BlackBerry Curve 3G 9300 which can be had as low as Php12,400. The 12K price tag is pretty steep for what the BlackBerry offers hardware wise, but it does come with a 2 year warranty. With Globe Telecom and Smart Communications now offering volume based data plans, the BlackBerry's advantage of limited but low cost connectivity (BlackBerry Social or BlackBerry messaging) is gone. But if you are heavily invested in BBM, this might tide you over till the new generation of BlackBerry QNX phones is released sometime next year. You can still find the older BlackBerry Curve 8520 at a much lower Php9,650 if you don't need the 3G connectivity. Personally, if I needed a BlackBerry now, I would take the 8520, skip the newer OS 7.0 phones and wait for the next-gen QNX BlackBerry's before spending a lot on a new BlackBerry. 6. Globe Telecom's Cloudfone Ice - Cheapest option. Not much to say about this one, but it is an Android phone priced at Php4,990, with a 3.2 inch 320 x 480 screen and it works. Not our favorite choice, but if you do not want to spend much, this is the choice for you.